Having pain in your lower back is a common occurrence, but it can happen for different reasons. 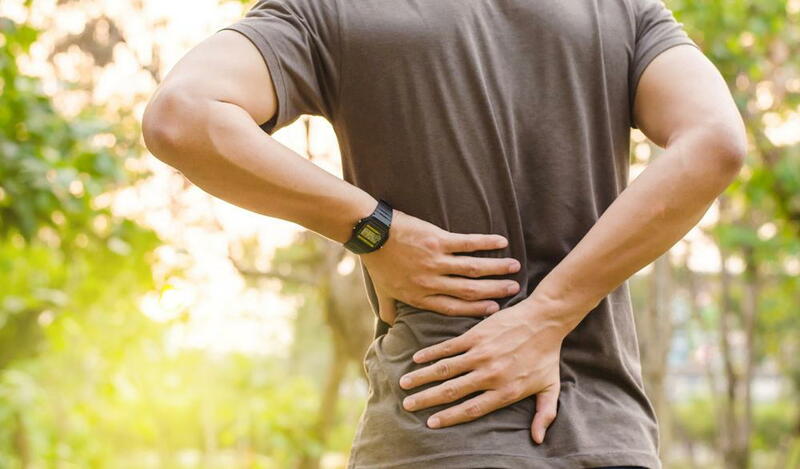 This pain can become chronic, which can stop you from participating in certain physical activities and even make it difficult to do daily tasks. When you need back pain relief, find out more about what could be causing it and what you can do about it. Lower back pain can be the result of an injury from an accident or from wear and tear that occurs over many years. Back pain can also occur from spinal problems, such as sciatica, a herniated disc or degenerative disc disease. Arthritis and other conditions that cause inflammation can also result in back pain. Pain can also occur after exercising from a muscle pull or strain in the lower back and doing so can also cause muscle spasms in the back. Poor posture also puts more pressure on this part of the back. There are many ways to treat back spasms and other causes of back pain. Doing stretches can also help relieve muscle tension in your back, which helps reduce spasms and discomfort. Stretching helps make the back muscles stronger and improves the range of motion, lowering the risk of continuing back pain. Using a low back support product, such as PCore, can also provide relief for this kind of pain. PCore offers a convenient and effective way to ease back pain. This lightweight core belt provides the lower back with the support it needs to relieve tension in the muscles. Use it to improve posture, reduce the waistline and do core activation training. Wearing the PCore throughout the day can provide ongoing pain relief, which helps prevent discomfort. This belt can go under clothes or be worn over them. Instead of having to rely on an uncomfortable heat wrap or heating pad for relief, put the PCore on and keep it on throughout your usual routine. If you struggle with low back pain that makes it hard to do your regular activities, please contact PrimeKinetix in Austin. We offer effective heated treatment that can help ease this pain and allow you to resume your usual activities.